Bangkok: The annual festival known as the world’s biggest water fight will be a little smaller this year, as one of Bangkok’s famed tourist districts called off its celebrations to avoid clashing with preparations to crown Thailand’s new king. Thailand celebrates Songkran, its traditional new year, from April 13 to 15, during which revelers splash water on each other under the scorching sun. The backpacker district of Khaosan Road in the Thai capital usually sees a free-for-all sponsored by businesses in the area that provide vats of water and high-powered water guns of every kind imaginable. But with the coronation of King Maha Vajiralongkorn set for May 4 to 6, the sponsored Khaosan celebrations have been called off; a business group told Reuters. “The authorities are preparing for the coronation and we are located right in the middle of areas involved so if we organise the usual Songkran festival it could be chaotic,” said Piyabutr Jiwaramonaikun, chairman of the Khaosan Road Business Association. Shops there will stay open as usual but they will not provide unlimited water refills and coloured powder, as in most years, he added. 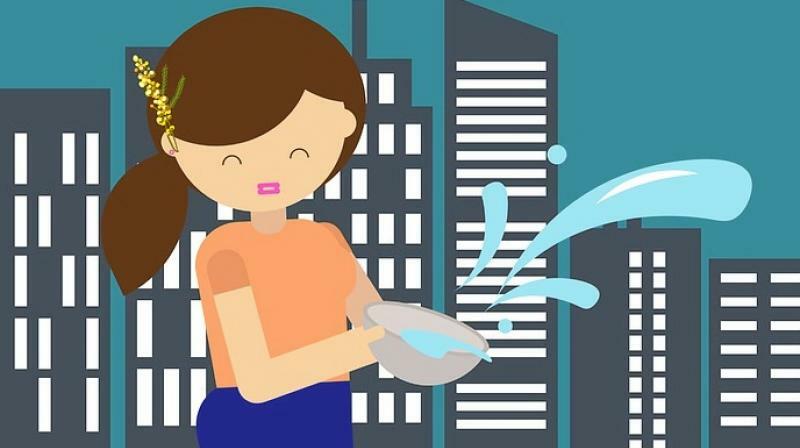 “Tourists and Thais can still conduct water fight in the area, but local businesses will not be organising anything official,” he said. Two local officials, speaking on condition of anonymity, said the area had been asked not to hold Songkran festivities. Bangkok authorities have been sprucing up the area near Khaosan Road where many rituals related to the coronation will take place, repainting roads and buildings, rebuilding pavements and reorganising electricity lines. The king will be crowned on May 4, with a celebration procession to follow the next day, before he meets the public and foreign dignitaries on May 6. “There will be fewer people this year for Songkran, but the coronation is a major event for the Thai people and we all must make sacrifices,” Piyabutr said.